Lost at Midnight Reviews: Announcing: The Series Catch-Up Challenge! I finally get to announce the exciting news I've been mentioning! And here it is! The Series Catch-Up Challenge! 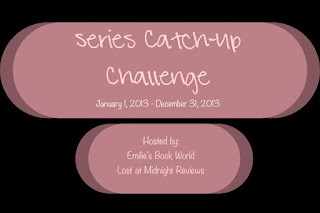 After many discussions about our insane TBR piles and all the series we're behind on, myself and Emilie from Emilie's Book World decided to host a year-long challenge to get caught up on those series! 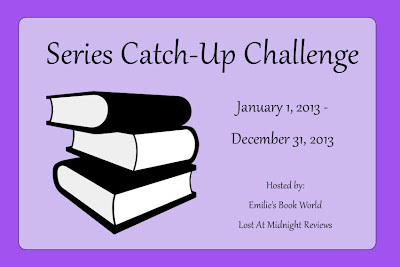 The goal of this challenge is to try and get caught up on the series you've fallen behind on. 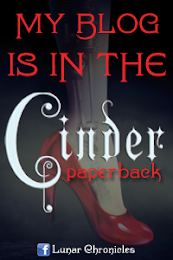 It could be just that one book that you haven't read, or it could be the entire series you've yet to start! Whatever it is, it's all about tackling those pesky series. 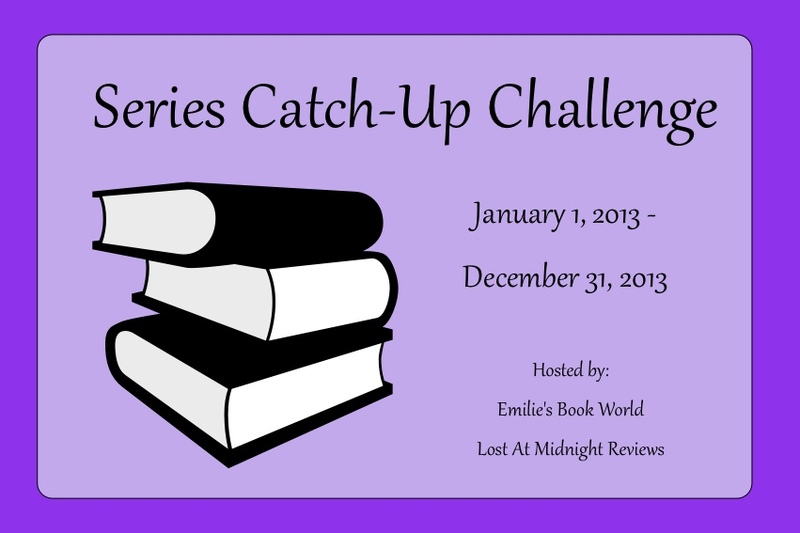 They'll be to categories for the challenge: number of books read and number of series caught up on. 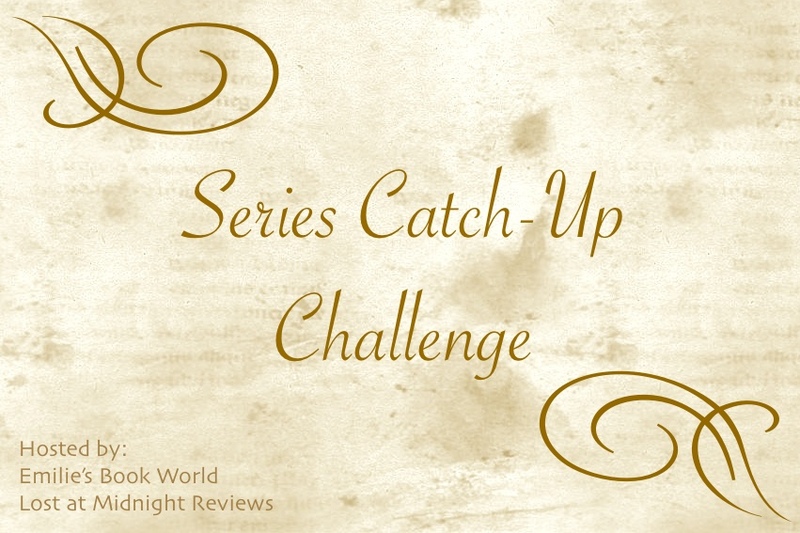 This way, if you've just got a few books in a ton of series to read or a ton of books in just a few series, you'll be able to catch up which ever way you'd like! I already have a full page list of the series I'm behind on, and I'm limiting myself to the series I've already started! I took a picture of the books I own that I'm trying to catch up on, but this isn't all of the books on my list. Yup, crazy right? I'm sure that lots of yours are like that too. - There's two categories of achievement: one for number of books read and one for number of series caught up on. 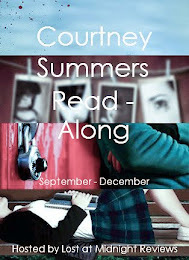 - They'll be a big giveaway at the end of the year, so be sure to link up all your reviews! So, what do you guys think? I really hope you guys all join because it'll be a crazy fun year! If you have an questions, feel free to comment here, email me (bookslostatmidnight@gmail.com) or tweet me (@lostatmidnight) anytime you'd like! Grab some of the awesome graphics Emilie made and add them to your blogs! Hmm. I really need to do this. But I wouldn't be able to start until after school is over. Thanks for hosting this challenge! I will have to participate! I am a new follower as well!